You don't have to wait until Christmas to have this chocolate caramel treat! You can try it in Frappuccino form anytime of the year! French Vanilla is definitely a coffee favorite of ours and we're told that this recipe is absolutely amazing! Looking for an instant pick me up? Try a cup of liquid cocaine to jump start your day! If you're a Nutella lover, you'll definitely love this beverage! 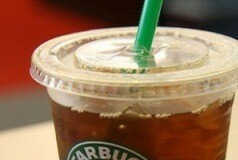 Starbucks has recently rolled out a new drink size, the biggest size available, called the Trenta. Ever gotten a black eye? You wouldn't even feel it if you had this green eye concoction first! Feeling a little strapped for cash? 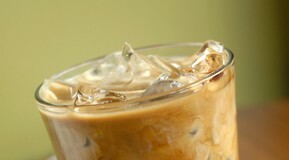 Get a Chai Latte without the glitz and glamour but all the right flavors! Mmm, who doesn't love mint chocolate chip ice cream? If you do, you have to try the Grasshopper Frappuccino.